Posted May 4, 2017 by henrymowry in U. S. A.
It’s an old jab: California, the land of fruits & nuts. And, they’re at it again. This movement for California to secede from the United States is not the first for a state, and it’s not the first for California. However, it got a lot of press in the last few days, emphatically linked to frustration with our new President. Much of the press coverage was poorly researched, flamboyantly titled click bait that wasn’t worth the click. But that didn’t stop a host of people on the fringe from trumpeting the boldness, the rightness, the goodness of the idea of secession. Those people must have forgotten about the states that tried to secede over 150 years ago … and it didn’t end well for them. I am not entertained. I am flabbergasted that people can discuss this idea with a straight face. It’s a horrible idea for all of America. And, it will never, ever happen. For starters, many headlines screamed that California would vote to secede later this year. That is a barefaced lie. Here’s what actually did happen: a public initiative has been accepted by California’s Office of the Attorney General as a possible ballot proposition for the fall of 2018, if the promoters can gather the required 585,407 “wet” signatures of registered voters in California. These signatures must be done in ink … hence the term “wet” signatures. Online petitions or other social media exploits do not work for this process. Most initiatives hire paid signature gatherers for this task; the “Yes California” committee says they have thousands of volunteers (variously reported as 9,000 to 13,000+) that will gather the signatures. That low budget, volunteer strategy rarely works for such efforts. In any event, they have until July 25 to submit the signatures, at which point the state will evaluate the signatures for validity, and either certify the proposition for the fall 2018 ballot, or, more likely, end the effort at that point. A special election is called for March 2019, when California voters will vote on whether or not they want California to secede from the United States. IF 50% of the voters do vote, and IF 55% of the voters vote YES, then the Governor is instructed to petition the UN for California to join as a member nation … and California would then seek to find a way to legally secede from the US. And experts say there is no constitutional path to do so. In fact, experts think that the only way a state could secede is if a constitutional amendment were passed … which requires 38 states and 2/3 of the House and Senate to approve. That’s an unlikely event on any topic these days. An alternative solution would be for 2/3 of the states to hold a constitutional convention, which is something that has never happened in our history. Experts even disagree if the convention could be limited to a single topic, and many believe that any amendment could be suggested at such a constitutional convention. After the convention, IF a constitutional amendment that’s on point were passed, THEN 38 of the states would have to approve the amendment before California could Calexit. As of today, there have been 33 constitutional amendments submitted to the states for approval. Of those, 27 have been passed. Could Calexit make it 28? I sincerely hope not. Here’s the text of the initiative that’s been approved by the Attorney General’s office for the signature gathering effort. Note that “tens of millions of dollars of one-time state and local elections costs” would result from the approval of this proposition … and THEN we only have to amend the US Constitution for this to have any impact. For the record, I won’t be signing, and I hope you will not as well. CALIFORNIA NATIONHOOD. INITIATIVE CONSTITUTIONAL AMENDMENT AND STATUTE. Repeals provision in California Constitution stating California is an inseparable part of the United States and that the United States Constitution is the supreme law of the land. Places question of whether California should become a separate country on a future ballot. Treats result of such future vote as declaration of independence from the United States if 50 percent of registered voters participate and 55 percent of those voting approve. Requires Governor to request California admission to the United Nations if voters approve independence. Summary of estimate by Legislative Analyst and Director of Finance of fiscal impact on state and local government: The fiscal impact of this measure is dependent on various factors, including a vote by the people on this measure, a subsequent vote on California independence, possible legal challenges, and implementation issues. Assuming that California actually became an independent nation, the state and its local governments would experience major, but unknown, budgetary impacts. This measure also would result in tens of millions of dollars of one-time state and local election costs. And just for a little added spice … did you hear that Russia’s involved? The man behind this initiative, Louis J. Marinelli, is a US citizen that lives in Russia with his Russian wife, and works as a school teacher. He’s met with a group that allegedly has ties to the Kremlin. The Yes California website, however, emphatically states that Russia is not funding this effort. So if you believe Russia influenced the US election, then …. And publications as illustrious as the Wall Street Journal and the LA Times are taking this seriously? Journalism, I mourn for thee. Sacramento Bee: Wanna Get Away? Wall Street Journal: Backers of California Seceding…. LA Times: Secessionists Formally Launch…. Posted January 31, 2017 by henrymowry in California, U. S. A. The first constitution of the USA was titled “Articles of Confederation” and was in force between 1781 and 1788. 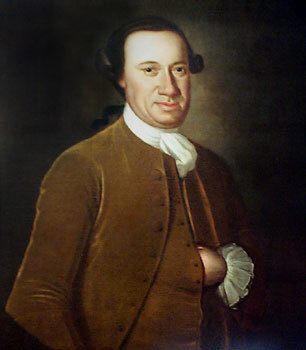 It created a single house of Congress and no executive – but for one year during this period (1781-2), John Hanson served as “President of the United States in Congress Assembled.” Hanson was followed by Elias Boudinot (1783), Thomas Mifflin (1784), Richard Henry Lee (1785), Nathan Gorman (1786), Arthur St. Clair (1787), and Cyrus Griffin (1788). George Washington was the first President under the Constitution of June 21, 1788, ratified by 1790. Richard Henry Lee. Portrait by Charles Willson Peale. Nathaniel Gorman. Portrait by Charles Willson Peale. 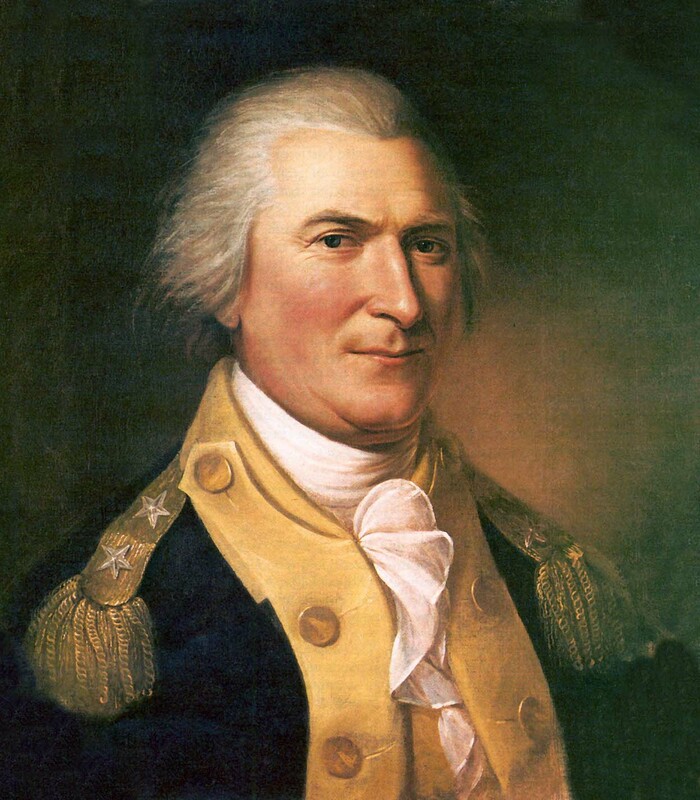 Arthur St. Clair – painting by Charles Wilson Peale. Posted January 29, 2016 by henrymowry in U. S. A. Posted July 4, 2015 by henrymowry in U. S. A. Posted June 14, 2015 by henrymowry in U. S. A.
I took an early walk through my neighborhood the other day … and the majority of the US flags I saw were displayed improperly. This is NOT hard. Unfortunately, people just don’t think about what they are doing. Unfortunately, here are examples of bad flag displays that I saw. Again, the the majority of homes displaying a flag were doing so improperly. Please trim the tree, or move the flag. When I took this picture it was dead calm, so the flag had blown into the tree many hours – or days – ago. This is the saddest image I snapped this morning. The dragonfly flag supersedes the US flag in this display. Sun-faded and fouled, this flag needs replacement. I’m not a big fan of lawn art … but if you’re going to put a small flag into your lawn, remove it before the flag gets ripped like ths one. The pole is just sad … the flag is faded and beginning to rip. Time for the whole assembly to be retired. Sun-faded. No longer red, white and blue. Again, not a fan of lawn art … but if you’re going to display the flag on a bracket in front of the shrubbery, then retire it when it becomes sun-faded. Fouled. Horribly fouled, in fact. Sun-faded, tattered … still in place after the flag displayed to the right had been removed. Both should have been retired! This display looks OK … but the flag is directly over a sidewalk, so every pedestrian has to either duck, move the flag with their hands, or just walk through it. Unacceptable. The flag is so new you can see the original folds in the flag. More annoying to me, however, is the owner didn’t remove the rectangular label in the top corner of the flag, making it look like our 51st state got a rectangle, not a star. 1. Only display flags that represent our country well. Tattered, sun-faded or soiled flags should be retired. 2. Flags should be allowed to fly freely. If the wind fouls them against trees or the roof, then the location is poor. If the flag is wrapped around itself, it needs to be unfurled. 3. Flags flown in the dark should be “properly illuminated” (that’s what the US Flag code says). 4. Only water-resistant flags should fly in inclement weather. Posted August 4, 2014 by henrymowry in U. S. A. When Jermaine Jones loosed the shot that brought USA even with Portugal, that was the call from Ian Darke: “What a cracker from him!” It was in the 64th minute, and Jones brought USA level with a 25-yard strike that the Portugal keeper didn’t even move his feet to defend. 4th ranked in the world, Portugal was favored to make a long run in the World Cup tournament. 13th ranked in the world, USA had high hopes … but they were in the “Group Of Death.” The group is Germany, Ghana, Portugal and USA. All of these teams are dangerous. As Portugal was about to learn. Alas, the lead would not endure. Soccer’s so-called world player of the year (formally, the recipient of the 2013 FIFA Ballon d’Or), Cristiano Ronaldo, is the lead player for Portugal. He did a perfect pass in the 5th minute of added time, and Portugal’s Varela headed it into the US net. Final score: 2-2. So, all four teams in the Group of Death are still alive. USA advances to the round of 16 with a win or draw when they play Germany on Thursday, 6/26, at 9am EDT. Join me in rooting them on, won’t you? Deadspin: What Has To Happen…. Posted June 23, 2014 by henrymowry in U. S. A. Love this story about Mike Rowe, host of “Dirty Jobs” … and an Eagle Scout. Mike was called to testify before Congress about job skills in today’s marketplace. One of the Congressmen asked if he would ever do a show about the job of a Congressman. With respect, some jobs are just too hideous to contemplate. Posted May 1, 2014 by henrymowry in U. S. A.